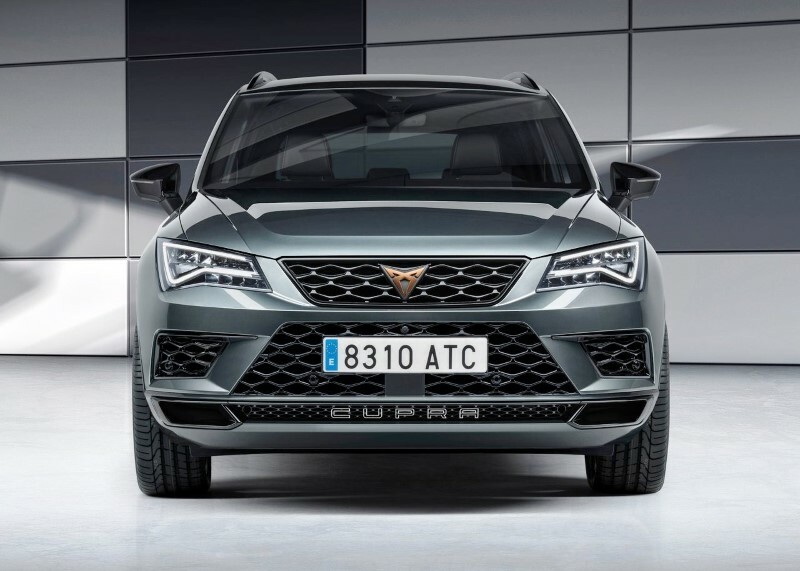 The debut of the newborn Cupra, a sporty brand of the Seat, takes place with the Ateca, 2019 Cupra Ateca is a compact SUV with 300 hp and a decidedly sporty chassis. 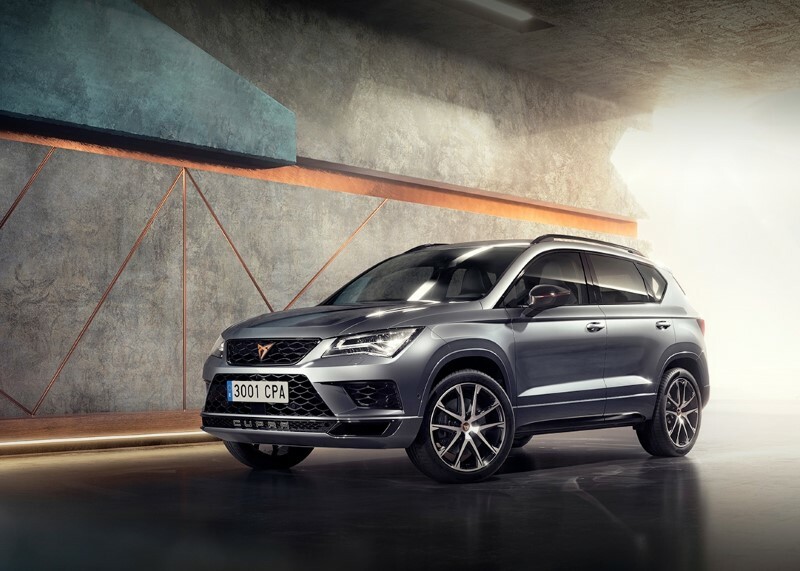 The interior of the Cupra Ateca it is also full of space for five, thanks to the central tunnel that is not too cumbersome: without big sacrifices, it is possible to sit in three. The driver’s seat is raised like on the Seat Ateca and allows you to “dominate” the road, but the profiled side seats (from 2019 will be optional shell-style race) and other details of sporty tone give a nice grit to the cockpit of this SUV: there are Alcantara upholstery, the aluminum pedals, the contours of the air vents in glossy black and the floor mats with the Cupra logo, which is also found when the multimedia system is turned on. Too bad, however, that the headlight controls are in a hidden position to the sight (at the bottom left of the steering wheel) and the visibility is not excellent from the rear window: in the car parks it is better to rely on the rearview camera. Just a few corners to understand that you have in your hands a car that sports not only looks and power. 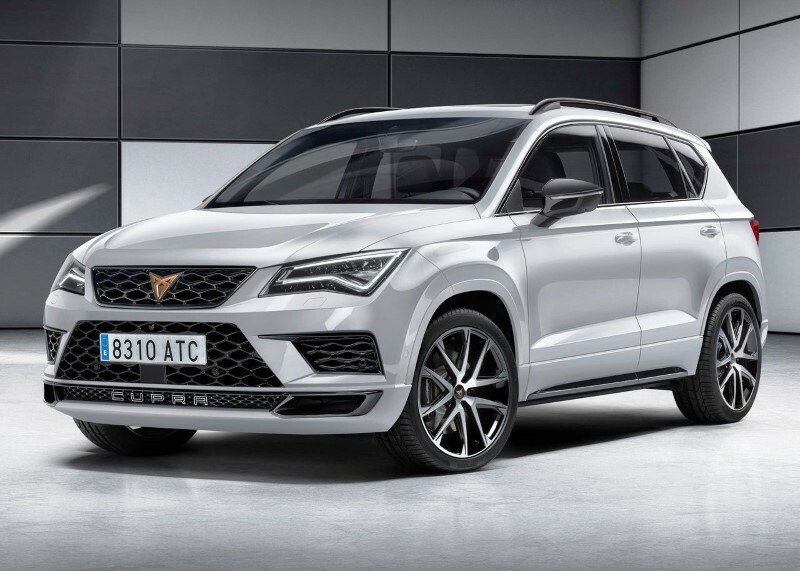 The structure is indeed very rigid, so the Cupra Ateca responds promptly to steering controls and allows the driver to “brush” the trajectories in the corners, as the car does not lie to the side like most cars high off the ground, but conveys a good feeling of grip and stability (the traction is integral). 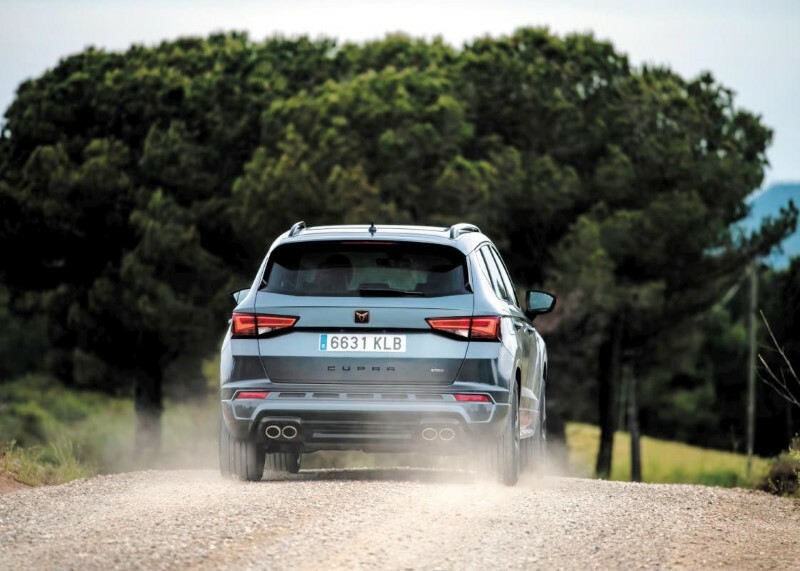 Also on the track, where we were able to test the car’s qualities, the 2019 Cupra Ateca was appreciated for its qualities of reactivity and maneuverability. The setting so sporty “pay” however in the city, where you can hear the holes and changes in asphalt. The absorption improves by selecting the Comfort mode of the 4Control system, which varies the settings of the attitude by modifying the suspension response, but for the back of the health in the city, it is better to pay attention to where you put the wheels. In addition to the Comfort mode, the 4Drive system also includes the Individual (customizable), Snow, Off-Road and Cupra, not available on the Seat, which keeps the 2.0 TSI engine always above 2,000 rpm and delays the transition from a gear to the other. 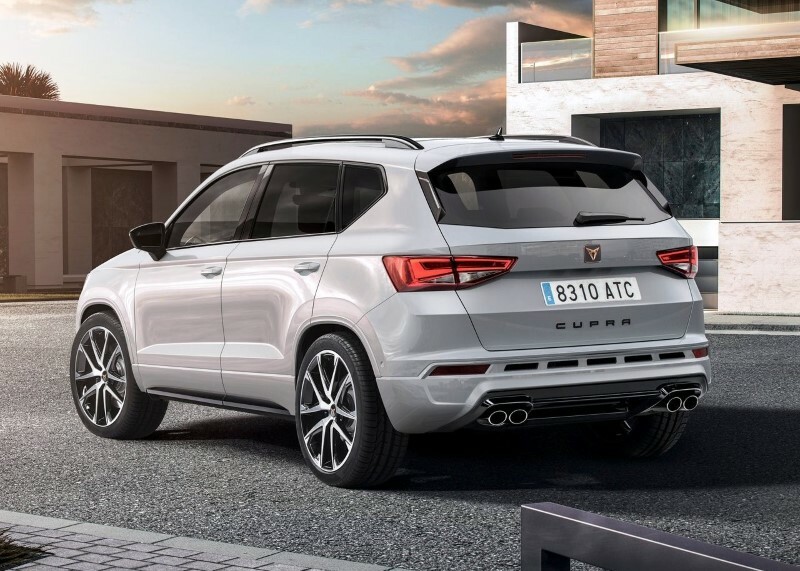 It is in this mode that the 2019 Cupra Ateca is most appreciated: the four-cylinder engine starts to push vigorously from 2,500 rpm and gives the best up to 4,500, but stretches up to 6,500 and accompanies this progression with a great rumble at the exhaust. The engine is therefore very enjoyable even in everyday driving because the “two thousand” is lively even the most used regimes in the city. The transmission is the automatic 7-speed DSG dual clutch, which is very good when you get back to speed but much less ready to climb. You can also drive through the paddles on the steering wheel, the same as the other Seat: on a car of this type, we would have preferred longer barbells, shaped and made of metal (they are made of plastic). 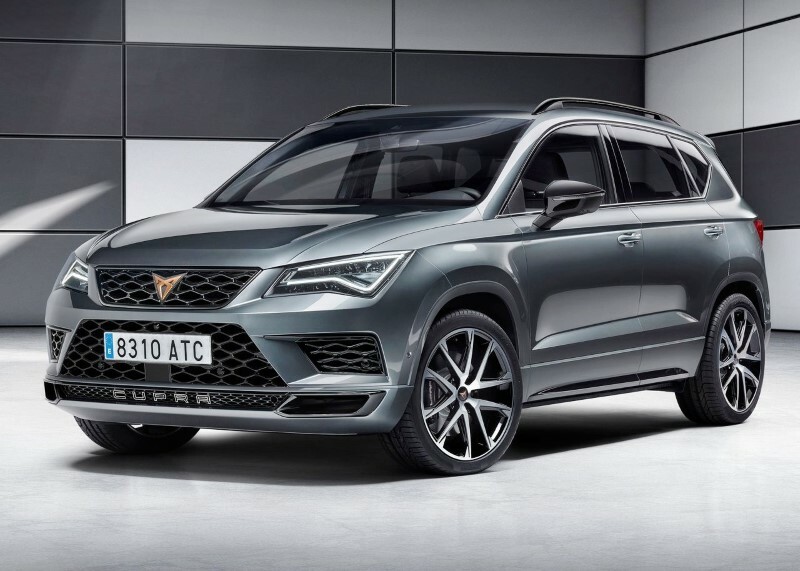 The Cupra has not yet revealed the price list of Ateca, but according to rumors should start at about 45,000 euros. However, the standard equipment should be very complete. The Spanish company has not yet completed the approval procedures and therefore did not disclose consumption, but during our test, we obtained an average distance of about 12 km / l driving brilliantly on extra-urban roads.